"When a persons pet dies it can be a devastating experience. You will want to show your client that you care and that you support them. Sarah Brown Cards have been especially designed for veterinary practices. Their design and quality reflects the empathy of your practice in a memorable way." 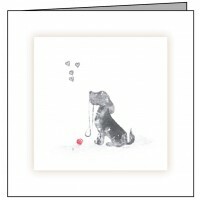 These 'Small Dog with Red Ball' cards come in a minimum pack size of 50 cards, can be supplied with .. 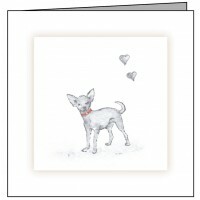 These 'Small Dog with Red Collar' cards come in a minimum pack size of 50 cards, can be supplied wit.. 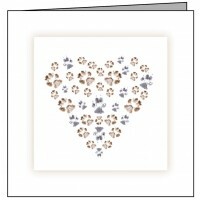 These 'Heart of Paws' cards come in a minimum pack size of 50 cards, can be supplied with a simple&n.. 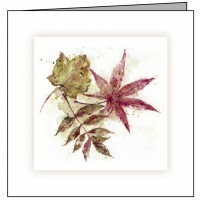 These 'Autumn Leaves' cards come in a minimum pack size of 50 cards, can be supplied with a simple&n.. 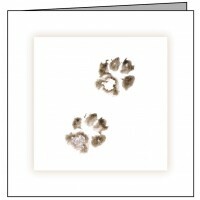 These 'Dog Paw' cards come in a minimum pack size of 50 cards, can be supplied with a simple ve.. 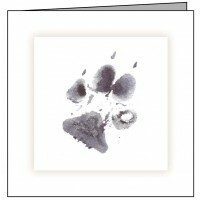 These 'Cat Paws' cards come in a minimum pack size of 50 cards, can be supplied with a simple v.. 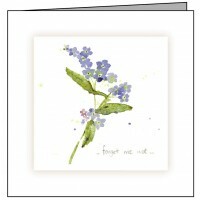 These 'Forget Me Nots' cards come in a minimum pack size of 50 cards, can be supplied with a simple&.. 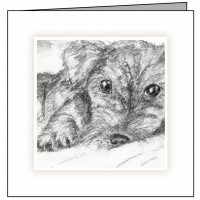 These 'New Puppy' cards come in a minimum pack size of 50 cards, they are made from the same high qu..